Right I admit these aren't the oldest buildings in Bangkok, but for our criteria they make a good start, oldest buildings in Bangkok that are still being used and are not Temples or that sort of thing. This building really stood out, we were in a taxi going through the Siriraj hospital grounds, ie all nice multi story modern buildings when we went down this little Soi, the whole soi was full of these antique colonial style buildings, all in really nice condition, the buildings are used as the administrations unit for Siriraj Hospital. The Siriraj is the oldest medical school and hospital in Thailand, building of it started in 1888, so these buildings are probably quite old. Ther air-cons spoil it a bit, but there really is no where else to put the compressor units I suppose. Entrance into the main building, nice cream colours. Outside around the back is a nice garden area, well looked after, also a memorial to the father of King number 9 for people to pray at. So, got any old buildings where you are in Bangkok? No, but lots of old retarded people - any use? He drove the modernization and westernization of medicine in Thailand. Siriraj hospital is now part of the University that bears his name: Mahidol university. Most old buildings you see like the above are crown estate. The real estate is worth a mint but most of the actual buildings are still let out on peppercorn rents that were set a long time ago. Last time I spoke to a long term resident of a small two storey building on Rattanakosin island he was only paying 800 baht a month rent ! This built in 1882. Ministry of Defense. Not as old as the Ministry of Defense but still quite a nice one, the King Rama VIII Museum or King Prajadhipok Museum, built in 1906. 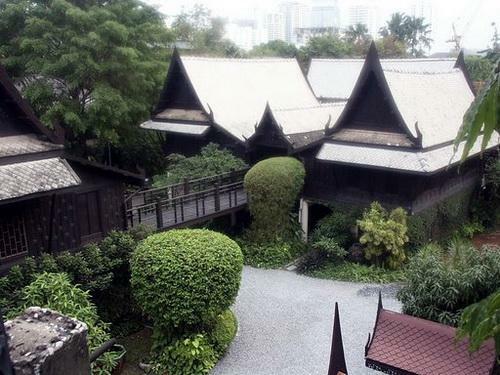 Suan Pakkard Palace has to be one of the oldest buildings. 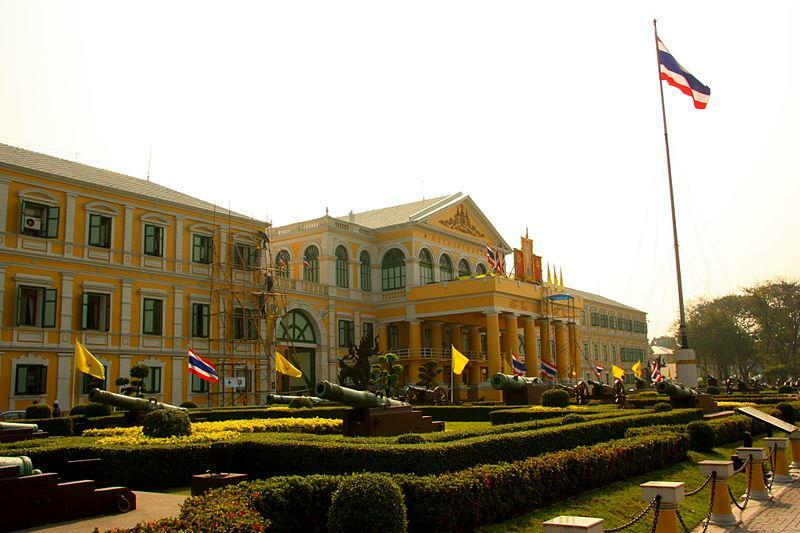 Formaly a royal residence , it was opened to the public as a museum in 1952.